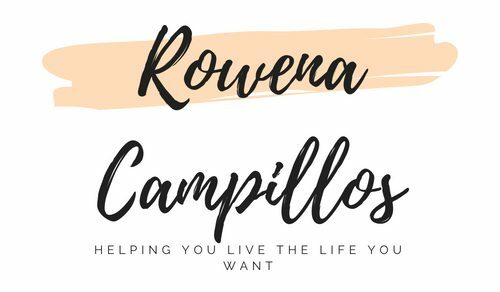 I know you’re serious in wanting to deliberately create your life by choice and I’d like to share with you here a few tips on how you can get started on this especially with regards to your financial situation. Here’s the good news. Whatever situation you are in right now, you can make a change. You can go from being broke to being blessed and having all the money you want and need . You can reduce your bad debts or totally eliminate your debts and be debt-free. You can invest in your future and learn to make your money grow and work for you instead of you working for the money. You can make the change starting right now. You can start to change your life literally today. How? By changing your mind. By changing your attitude. One thing that is common among highly successful people from all over the world is the way they think. They think rich and, therefore, they grow rich. Yes, this may sound familiar to you especially if you have read Napoleon Hill’s classic book, Think and Grow Rich. Write down your financial goal. It is important that you have your financial goal written down in black and white. If you haven’t written it down, what you have is only wishful thinking and you haven’t really any serious thought about it. When you write down your financial goals, you begin to see a clear picture of what you really want ang begin to set strategies on how you can achieve it. After writing down you goals, remember to read it everyday and your mind will begin to be focused on doing that which you want to happen in your life. Surely, things will begin to fall into place and you’ll be able to achieve your goal in no time at all. Increase your cash flow. Do make as much money as you can, while you can. Indeed, have multiple sources of income. While working on your regular job, it’s highly recommended that you start working on a side-job or building a part-time business to have more cash you can save and invest for your future. If you think you don’t have time for this with your hands being full already, then you may just start analysing your expenses and start cutting those unnecessary expenses you have spent for the wants and not the needs of the family. Remember, it’s not how much money you earn but how much money you keep. So, at least, set aside 20% of your income to save and invest for your future. you start investing, it’s important that you’re able to pay your debts if not manage it so you can eliminate it at the soonest possible time. Having debts, especially bad debts, is having money work against you. Have the right healthcare and have proper life protection. A study made in the Philippines showed that a lot of people get sick and die not because there is no medicine or treatment available but because they don’t have money to pay for these costs. Ensure proper protection against loss of income and also protect your family assets. So while you are still building your wealth, remember to get yourself a healthcare and a life insurance to give your family peace of mind. Invest and build your wealth. Don’t just keep your money. Invest it and make it grow. Let your money work for you so you will not work for money in your lifetime. When you invest, you are able to outpace inflation as well as minimize taxation. Protect your wealth. After all the hard work you do to build your wealth, remember to protect it. Do preserve your estate , maintain privacy and limit probate costs. Okey, so what to do next? Take action! Secure your Future now! I know you will have a lot of excuses not to save or invest. But no matter what your excuse is, one thing is for sure: you will get older next year, your child will grow up and enter college and you would need money for his or her education, you will eventually retire and stop making active income and so on. You have to be prepared for these kinds of situations. To make it easy for yourself, be with a group who inspires you to save and invest so that you can really be able to build your wealth. I do wish you all the success in life, especially when it comes to your finances so you could start to be a blessing to your family and friends. Previous postIs There A Need To Save And Invest?